The 80s had tons and tons of really, really crappy music. The drum sound of 80s songs alone makes my head hurt. There weren’t a ton of mainstream acts that did the bulk of their work in the decade that find their way into my listening rotation much if at all. 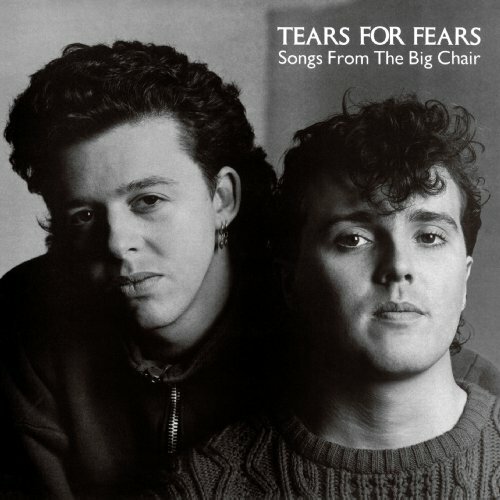 One notable exception is Tear For Fears. At this point it can be tough to listen through the drums on this record because it makes it sound so dated but this music is clearly a keyframe of its time and place and any eclectic record collection should consider finding room for this album. This entry was posted in The Vinyl Court and tagged 80s records, Curt Smith, drums, Everybody Wants To Rule The World, Head Over Heels, MO, Roland Orzabal, Shout, Songs From The Big Chair, St. Joseph, Tears For Fears, The Lucky Tiger. Bookmark the permalink.